Tough doesn’t even come close to describing the new Scorpio Pik-Up. The imposing new styling, the signature front grille and integrated bonnet scoop makes this Pik-up look positively indestructible. 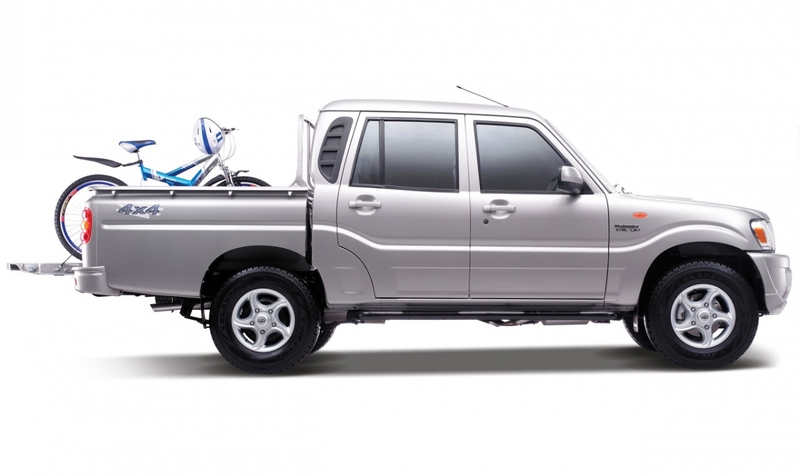 The Scorpio Pik-up is designed to be practical and sturdy, with great ground clearance, dependable engine and transmission. The Mahindra Scorpio Pik-Up to really get you ready for the outdoors. 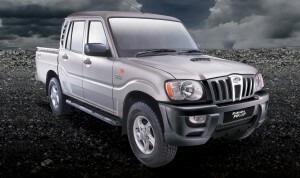 The Mahindra Scorpio Pik-Up is decked out with all the modern-day luxuries for your comfort and convenience. Attention to detail can be found on every dial, button and knob, each finished to perfection and tested for durability. 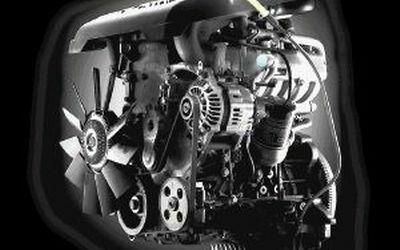 The high power NEF engine is more fuel efficient, low on NVH and environment-friendly and a hallmark of Mahindra's cutting-edge technology. 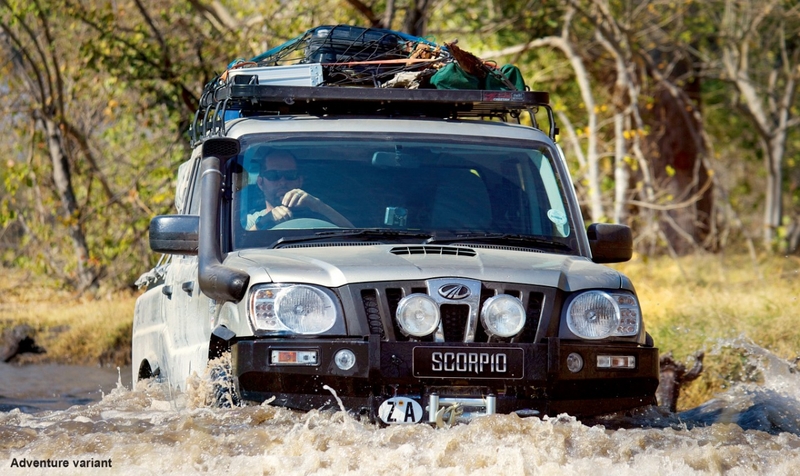 The Pik Up's Limited Slip differential its on-road and off-road capabilities. The Anti-pinch window glass on the driver's side is smart enough to detect the slightest obstruction to the rolling up of the window. And send the glass back in the downward direction. A simple device that prevents injury. he Scorpio comes with a pair of well trained, dual tone ORVMs. They're powered and obey your command at the push of a button. The new streamlined bonnet scoop with its 'low-drag intake' design doesn't just provoke other cars. It calms the Scorpio down too, by letting in air to the intercooler that keeps the engine cool. 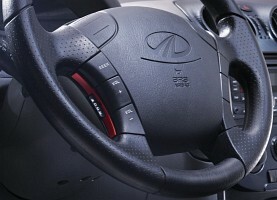 Luxurious trims dominate the interiors, boasting the style quotient of the Mahindra Scorpio Pikup. But what really sets the Brute Ute , are the brawny new body contours, bold slotted front grille and sporty body graphics. Drive in the Mahindra Pik up with the new sporty alloy wheels that add strength and durability. And watch the others go weak in the knees. 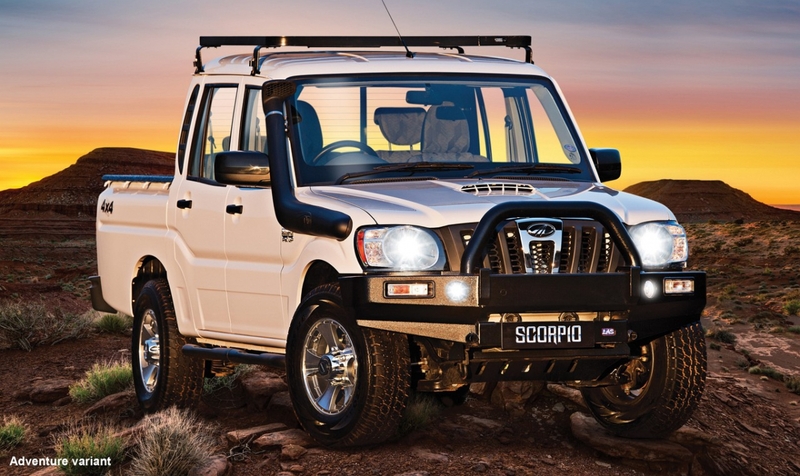 The powerful fog lamps will illuminate any surprises, while also announcing the Mahindra Scorpio Pikup arrival quite sportily. Multi-focal reflectors multiply the power of these headlamps. 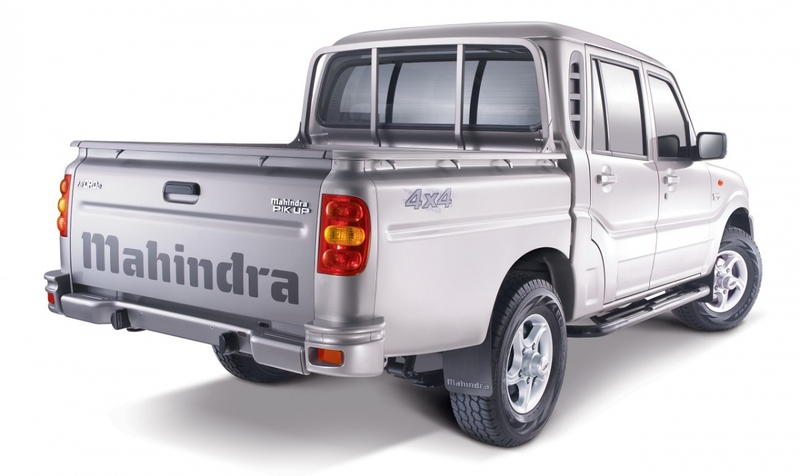 Their 'sunrays' reflector design shines into the night, giving the Mahindra Ute a blinding stare. This for the Double Cab, the Naked comes in Grey Interiors. 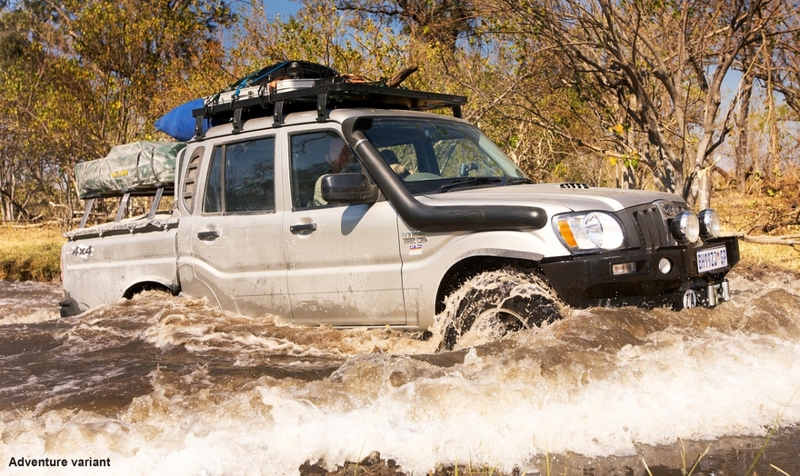 The Mahindra goes hard on every terrain, but of course with Care. Its well equipped to handle the peril of any terrain. From SRS airbags, to tubeless tyres, ABS and fortified crumple zones, the Mahindra Scorpio Pikup harnesses cutting edge technology to give you the peace of mind. Safety always takes the front seat in the Scorpio. 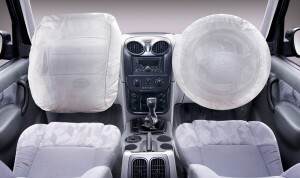 In the event of a collision, these front dual airbags inflate instantly, protecting you from serious injury. When the situation demands hard braking on any skid-prone surface, the Anti-lock Braking System (ABS) will make sure the wheels don't lock up on you. 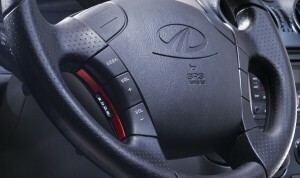 So, in a Mahindra Scorpio Pikup , control is never compromised. Crumple zones at key points absorb most of the impact in case of a collision. The unyielding steel bars in the doors minimize impact from the sides. Child locks prevent accidental opening of doors when the vehicle's on the move preventing mishaps. 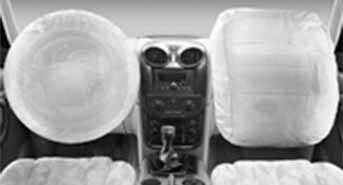 Fitted with new foam contours, the seats in the new Mahindra Scorpio Pikup have been designed after meticulous 'Body Pressure Mapping'. In fact, they're so ergonomically adapted to the human form, they hug. Pushing the luxury of being seated in the Mahindra Scorpio Pikup to dreamy new heights. While keeping you planted and comfortable through every manoeuvre you may think up. 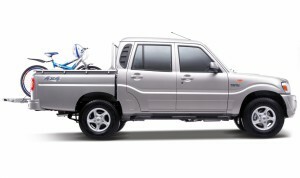 The new Mahindra Pik up can be temperature maintained for your maximum comfort. You can heat it or cool it as you like regardless of the weather conditions outside. The powerful HVAC system provides heating, ventilation and cooling. Tiltable Steering is just one of those small things in the Mahindra Scorpio Pikup that enhance your driving comfort to a large degree. 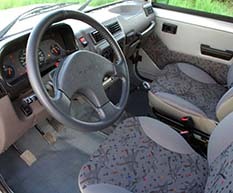 It enables you to adjust the steering wheel as per your convenience; according to your height or as per the way you sit when you drive. A padded armrest drops down from the middle row seats. 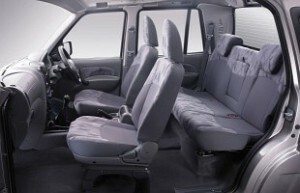 It's wide enough to make long drives comfortable for both middle row passengers. Welcome Pikup that anticipates your needs. 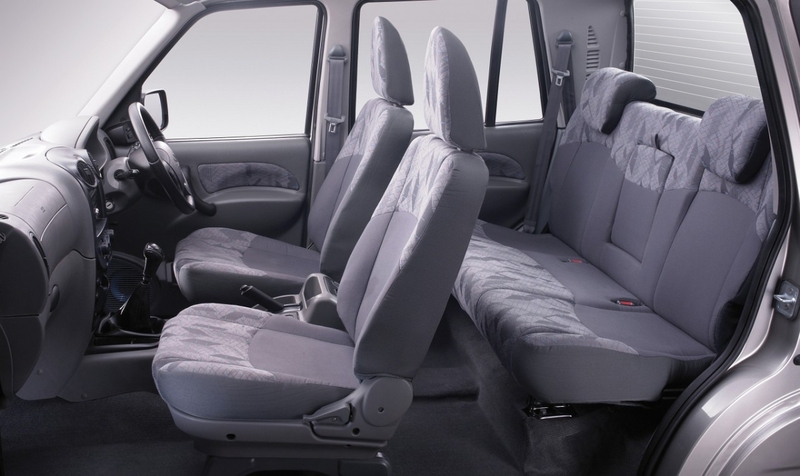 From the Cruise Control that lets you rest your foot at higher speeds, the audio system controls on the steering wheel, to the numerous convenient utility spaces, you'll find your smallest needs met. A smart power window, bottle holders, map pockets, a large glove box; there's surely nothing that this car overlooks. You have the power to control the movements of all windows from the console by your side. And lock the doors too. Now that's safe and smart. While the others are fumbling in the dark, the headlamps of the Ute glow for several minutes after you lock up, lighting your path in the dark. You hold the reins of this big cat. The power steering enables you to control and manoeuvre the Mahindra Scorpio Pikup with ease giving you complete control.